As we all know pets have the ability to make messes in homes and sometimes these messes can leave stains in carpets, on rugs, and in furniture. Golden Glove has been removing pet stains in Peachtree City and surrounding cities since 2004. If the stain can be removed, then we are the cleaning company that can do it. What Types of Pet Stains Do We Remove? If your carpet, furniture, or rugs are stained with animal urin, then call us today to have us come out and determine if we can remove it. We always give an honest quote on site with a clear promised outcome. 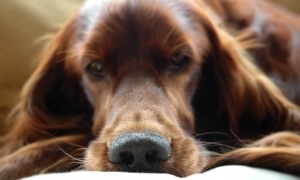 Indoor pets often leave lingering odors in carpets, rugs, and upholstery. If you wish to get rid of those odors within these materials, please give us a call today. Animals love to run around outdoors and as a result they often get dirty. Time and time again the dirt and debris from the outdoors gets tracked inside the home by household pets. This dirt and debris can literally end up wherever your pet decides to roam in the house. If you are noticing a build up of dirt caused by your pet, please call us to take advantage of our quality cleaning services in PTC.